Home-grown tech could offer a greener future for the planet, say two leading scientists behind a major summit at Te Papa. The researchers behind Tuesday's forum, "Materialise: a sustainable future", also see a big opportunity for New Zealand to become a leading technology exporter. With both major parties committed to putting the country on track toward a net-zero carbon economy by 2050, they said it was timely to look at whether New Zealand could beat other countries to green-focused tech solutions. "Are there clean technologies such as solar, batteries and next generation computing, where New Zealand could lead the world?" said Associate Professor Nicola Gaston, co-director of the MacDiarmid Institute for Advanced Materials and Nanotechnology, which is hosting the forum. 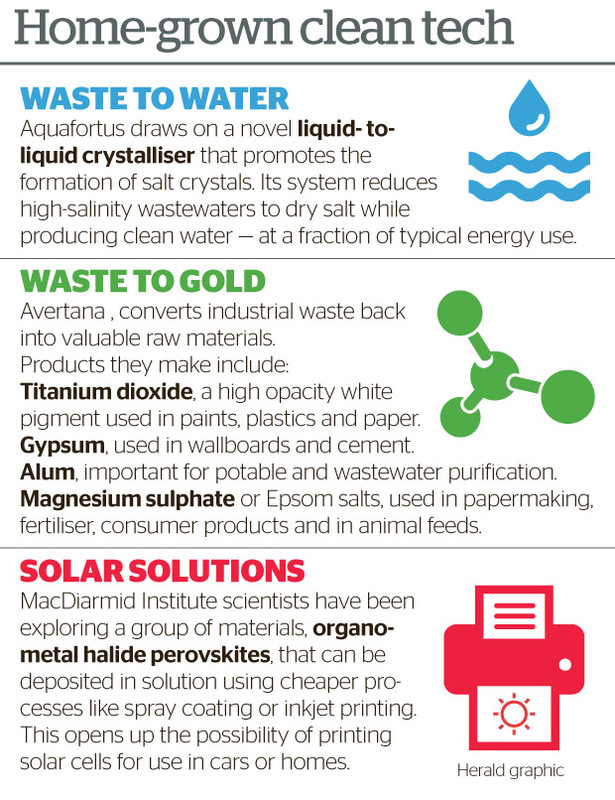 "How about extracting value from waste, or smart materials that eliminate waste all together?" 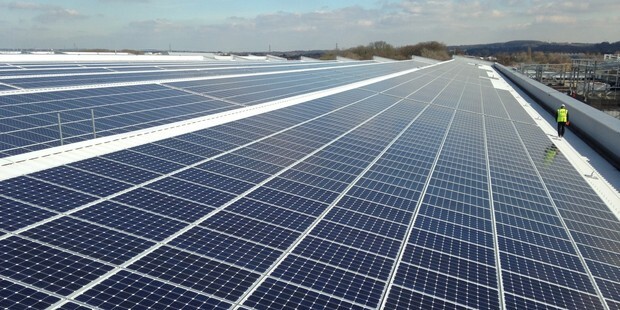 Fellow co-director Associate Professor Justin Hodgkiss said the wealth of the 21st Century would reside in nations that created the key technologies for clean energy and sustainability. One obvious area was new battery tech, which would be essential for balancing the intermittency of renewable solar and wind energy in the grid. 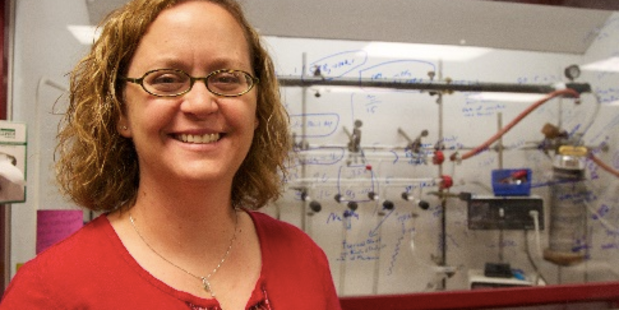 Colorado State University's Professor Amy Prieto would be at Tuesday's forum to share her insights into battery innovation. Hodgkiss said a less widely known trend was that the energy cost of computing and data management was now a serious burden, and rapidly growing. Another international guest, Professor Michael Fuhrer of Australia's Monash University, would set out the fundamental physics behind this inefficiency, and how it led to new concepts of sustainable computing. Gaston was particularly interested in examples that took the idea of the circular economy — in which everything must eventually be reused or recycled — and applied it at the nanoscale, or even at the level of individual atoms. "We're all familiar now with the idea that there is a carbon cycle, and disrupting it has led to climate change," she said. "We have a chemist coming from MIT, Kit Cummins, who will talk about phosphorous used in fertiliser as phosphate - this is currently dug out of the ground, and then not recovered after being applied as fertiliser. "So we're actually running out of accessible sources — and this is a big problem, with the potential to affect food supply. "So we need, as material scientists, to be much better at using clever chemistry to reuse and recycle at the elemental level of atoms — and another example is the availability of lithium needed for modern batteries." Another speaker, Dr Anita Hill of Australia's CSIRO, had carried out work showing how this could be extracted from seawater using nanostructured porous materials. "The potential of that kind of tech, in enabling a circular economy, is really quite significant." Gaston said sustainability wasn't originally a deliberate research focus at the Victoria University-hosted institute, founded by the late Sir Paul Callaghan in 2002, energy had always been a key theme. "But we started to see that a lot of the key scientific challenges that underpin the work of the institute had these questions in common: how do we avoid using toxic or scarce elements, and design materials to use safe and earth-abundant ones?" she said. "Or in some of the work that our people do in understanding biological materials, we started to see an emphasis on learning from nature how to design materials better, or even figuring out how to use materials that are naturally grown for high-tech applications." 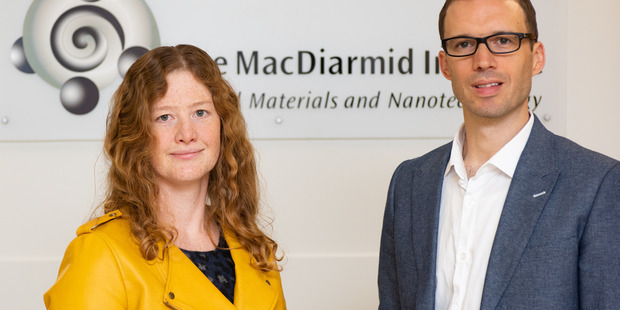 Hodgkiss, who took on the co-directorship with Gaston in May, added that MacDiarmid's photovoltaics research had developed to include printable PV materials, and even nano-structured anti-reflective coatings to enhance light absorption. "The institute also has considerable strength nowadays in the field of sustainable computing," he said. "Interestingly, those projects grew from sustained basic research into new classes of materials like nanoclusters and spintronic materials." It had only been recently that this knowledge had unlocked applications like neuromorphic computing – or devices that think like a brain - and energy efficient data servers, garnering significant interest from major companies like Google. "We have excellent students working here in New Zealand, and while we don't have the scale of research labs overseas, the MacDiarmid Institute works to counterbalance that, both by supporting connectivity between scientists across physics, chemistry, biology and engineering in New Zealand, as well as by supporting interactions with international expertise," Gaston said. "It is really important that we continue to grow capacity in this area as it is where the major challenges of the next century are coming from: we need graduates who are equipped to deal with these issues and their economic consequences, both in research and in other areas of employment. "But it's also really important that we learn from New Zealanders what the specific challenges might be here, and how they might look different from the issues seen globally." Currently, New Zealand's growing high-tech industries were largely made up of small companies with an export focus. "There are a lot of great companies already making a business out of sustainable technologies, and a couple of them will be presenting at the conference; Avertana, whose mission is extracting valuable commodities from waste, and Aquafortus, who are reducing waste water to zero," Hodgkiss said. "New Zealand scientists and engineers are already contributing to major international clean-tech projects, for example the Robinson Research Institutes partnerships to develop hybrid electric aircraft and efficient electric trains. "We have an imperative to innovate to meet our own zero carbon commitments, and we can turn that innovation into an economic opportunity as more populous countries seek to meet their own carbon and sustainability targets." What did they want to see come out of next week's forum? Gaston wanted to see not just scientists, but iwi, policymakers and businesses working toward sustainability together. "We have a number of local speakers from start-up companies, government, and who are engaged in Mātauranga Māori research: we need to hear from all these perspectives," she said. "One of the key things in talking about sustainability is that the high tech solution isn't always the right one: it can be that it is cheaper and easier to get people to change their use of resources. "But in the high tech space — when it comes to battery recycling or the hidden energy cost of running a Google search — people won't know what the issues are unless we have these kinds of conversations." Hodgkiss saw environmental sustainability as something that was more about our own future than that of the planet. "The earth will be just fine if humans drive themselves to extinction," he said. "We are all in this together, and this forum is about joining people up; inspiring kids to crack the science problems that will pay off 20 years later, celebrating Māori knowledge forged throughout centuries of sustainability, and building the business case for sustainability." Others speaking at the forum include nanotechnologist and Weekend Herald columnist Dr Michelle Dickinson; Victoria University lecturers Dr Derek Kawiti and Dr Pauline Harris; tech entrepreneur Daniel Batten; Z Energy sustainability and community manager Gerri Ward; Aquafortus chief executive Daryl Briggs; Avertana co-founder James Obern; and Zealandia chief executive Paul Atkins.